Complete Banshees gig from Rockpalast on German TV, 1981. It’s interesting to compare the opener Israel on this video (the opening track, with John McGeoch’s thick chorused, guitar sound) with Robert Smith’s interpretation when he played guitar on tour with the Banshees a couple of years later (his sound is more waspish/spidery!). For our latest installment of Vintage Video, we turn, yet again, to the fabulous archive of the German TV show “Rockpalast,” this time for a full, 75-minute concert by the inimitable Siouxsie and the Banshees, filmed on July 19, 1981, in Colgone, Germany, just weeks after the release of the band’s fourth studio album, Juju. Check out the full show in the player above, and we’ve got the setlist posted below as well. 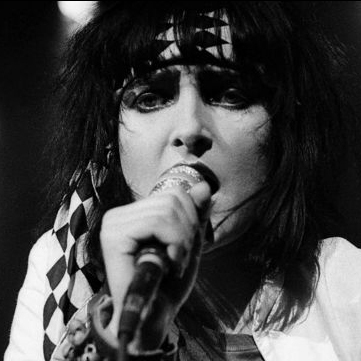 via Vintage Video: Siouxsie and the Banshees on ‘Rockpalast’ in 1981 — watch 75-minute set | slicing up eyeballs // 80s alternative music, college rock, indie.